MISGAV, Israel, March 27, 2019 /PRNewswire/ -- BioFishency Ltd. ("BioFishency" or "the Company"), a portfolio company of The Trendlines Group Ltd. ("Trendlines") (SGX: 42T) (OTCQX: TRNLY), announced that it has completed an investment round of $2.4 million. The primary investors in the round were a private investor from China, Aqua-Spark, a global investment fund based in the Netherlands, and The Trendlines Group. 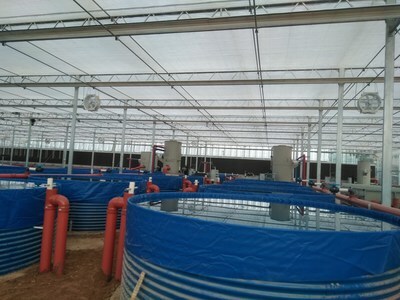 Lux Research, March 2015 (http://www.luxresearchinc.com/news-and-events/press-releases/read/aquaculture-boom-creates-133-billion-water-treatment-market-2030).